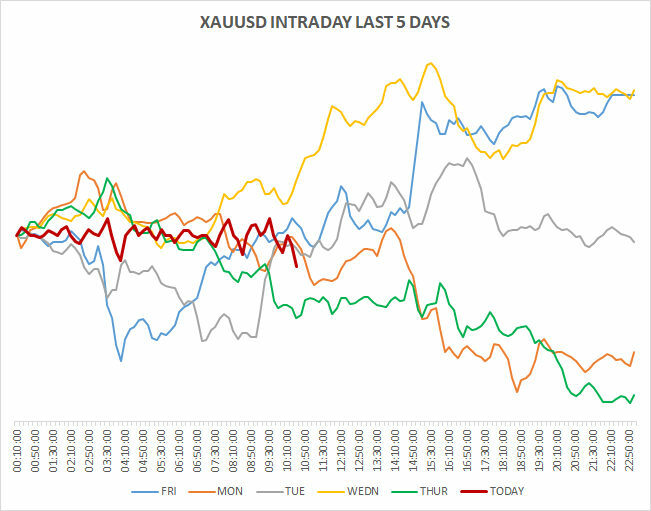 Today's chart shows you the intraday Goldprice in USD (XAUUSD) over the last 5 tradingsessions. 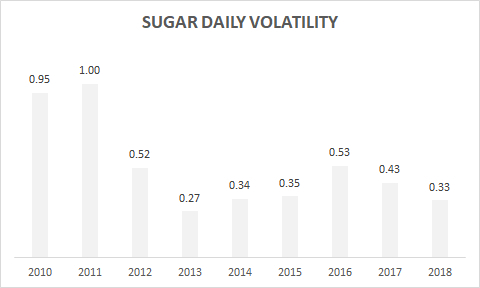 According to the graphs, it seems that renewed strength this Friday needs to see prices above the 09:30 high (todays high level) to gain traction to the upside going forward. 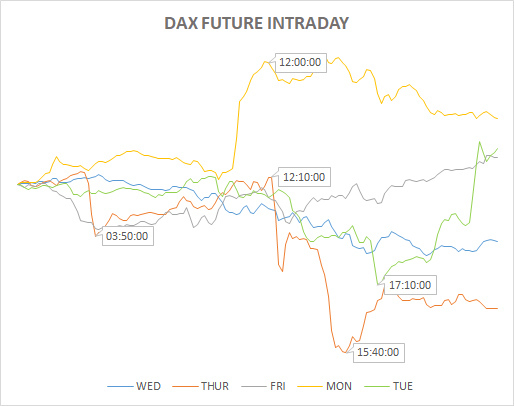 Today's chart shows the price development of DAX Future for the last 5 days individually with a ten minute sequence intervall. The graph shows that during Asia sessions it is especially quite and little action until around 10 AM. All times are GMT + 1 HR. The diagram above shows you how much the silverprice fluctuate intraday in USD. The last couple of years shows a tighter tradingrange. We will come back to what times of the day which could typically mark high and lowpoints. 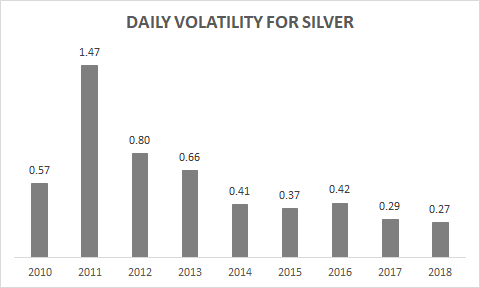 Silver moves in a range averaging 1.60% per day for 2018. The diagram above shows you how much the goldprice fluctuate intraday in USD. The last couple of years shows a tighter tradingrange. We will come back to what times of the day which could typically mark high and lowpoints. 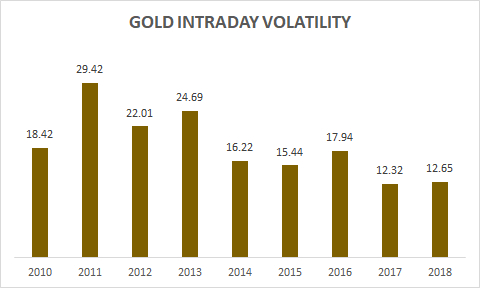 Gold moves in a range averaging 0.96% per day for 2018.